Fighters Collection has a page devoted to the Fighters cards from the set. 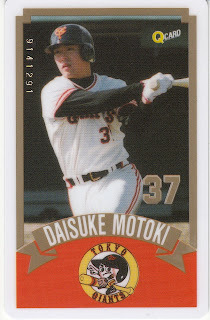 I think these cards are pretty rare - I don't see them up on eBay very often. In addition to the 120 card set, Q Card also issued a 62 card set for the 1991 All Star teams - exactly the same size as the BBM set and featuring the manager and coaches as well as the players. 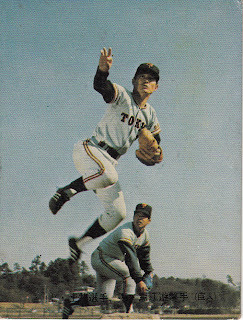 These are the only two sets the company ever produced. 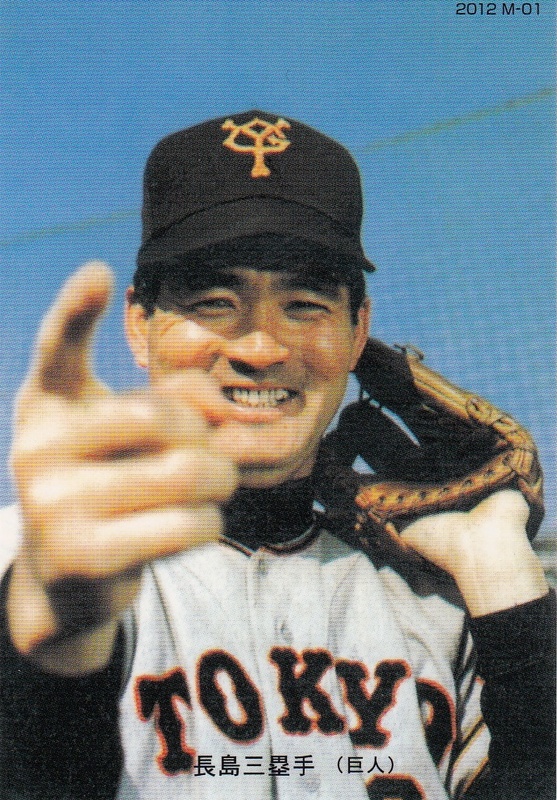 Heard a great piece of trivia from Jim Allen on the Japan Baseball Weekly podcast a couple of weeks ago - who are the only two Japanese players with over 2000 hits and at least one pitching victory? One is Tetsuharu Kawakami, who went 11-9 as an occasional pitcher for the Giants from 1938 to 1941. 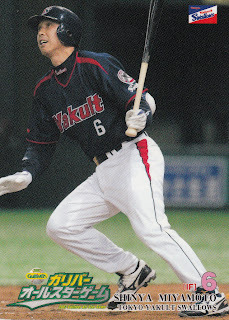 The other is actually still active - Takuro Ishii of the Carp. 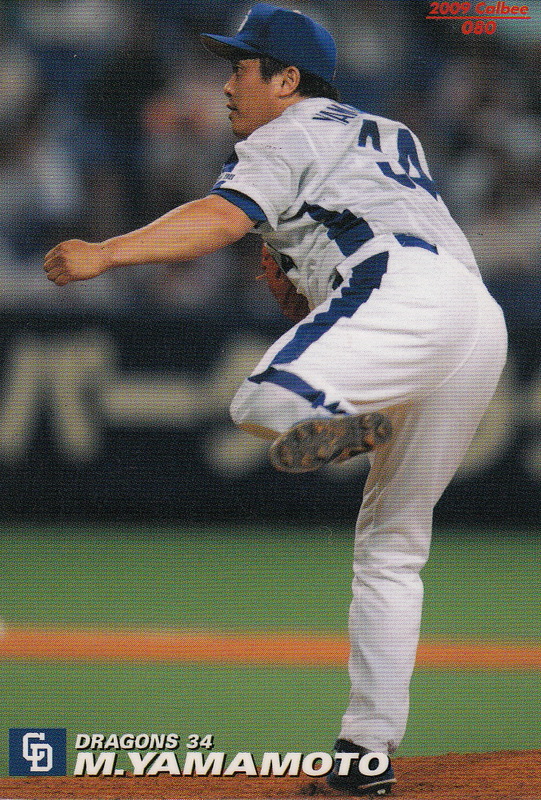 Ishii was signed by the Yokohama Taiyo Whales as a pitcher in 1988 and went 1-4 in 28 appearances with them from 1989 to 1991. He switched to hitting fulltime in 1992 and the rest is history. 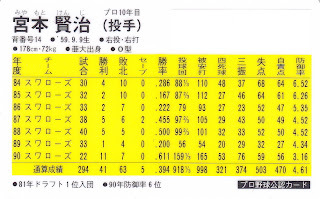 He is actually the only player in the Meikyukai with this distinction as Kawakami is ineligible for membership due to his being born before the Showa Era began in 1926. I have to credit Deanna with much of the backstory for this - she pointed out this card several years ago. I have been noticing lately that I don't have a lot of post-2003 Calbee and I've resolved to do something about that. I traded with Deanna for some 2010 cards last year and I also bought an unopened box of chips. 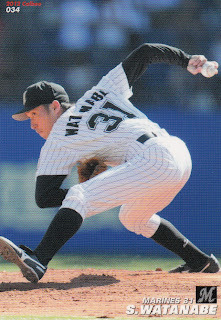 A couple of months ago, I picked up a several lots of 2006, 2007, 2009 and 2010 cards off of kuboTen. 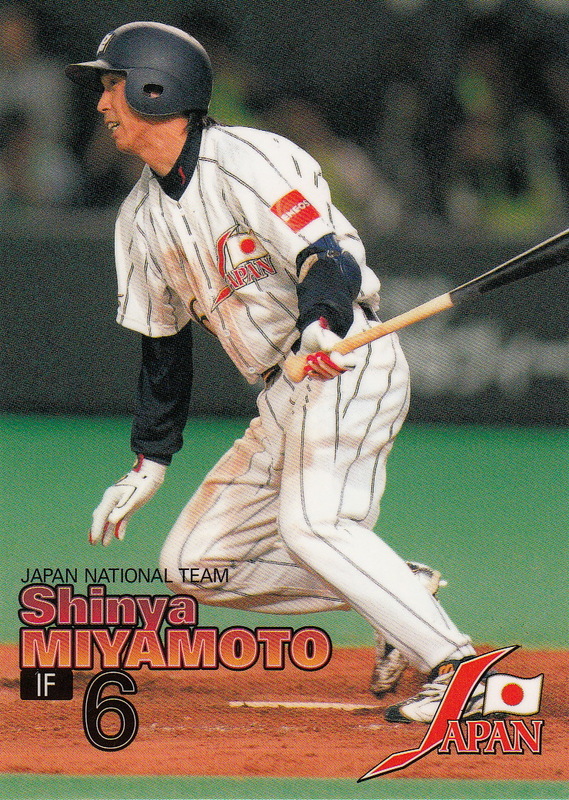 So I figured it would be a good idea to pick up the complete set for this year if I could get it, starting (obviously) with Series One. Series One contains 112 cards - 73 "regular" player cards, 22 Title Holder cards, 13 "Memorial" cards and four checklist cards. 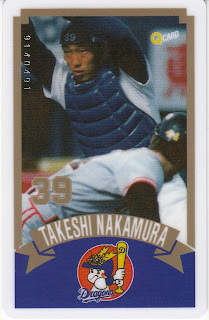 (There are also 24 "Star" cards which are considered premium insert cards and were not included in the set I got). 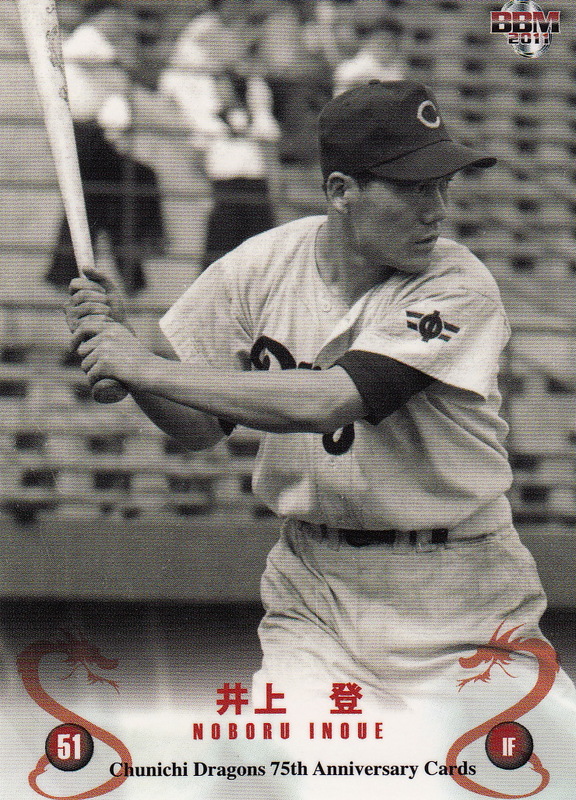 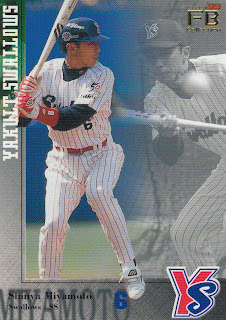 The 73 "regular" player cards are really 72 "regular" player cards plus a card of Swallows manager Junji Ogawa which I will discuss more in a minute. 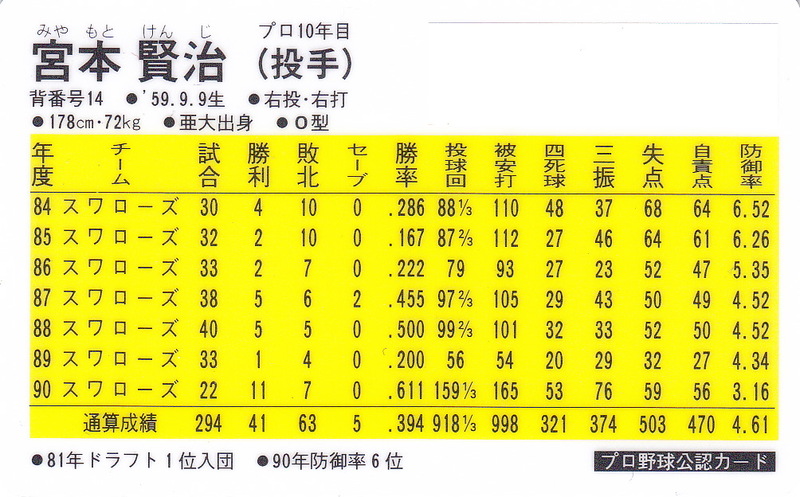 The 72 player cards break down to 6 players per team. 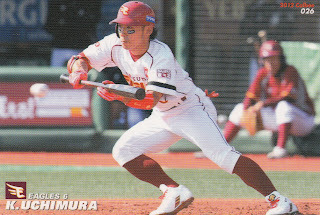 It's hard to complain about player selection in the set since there will be two later Series that will include other players (I actually considered waiting until all three Series were out before reviewing the set). So it's silly to complain that Matt Murton (for example) isn't in this set when he'll probably be in one of the other Series. I did find it interesting the difference between the way the two teams that significantly changed their uniforms (the Dragons and Baystars) were treated in the set. 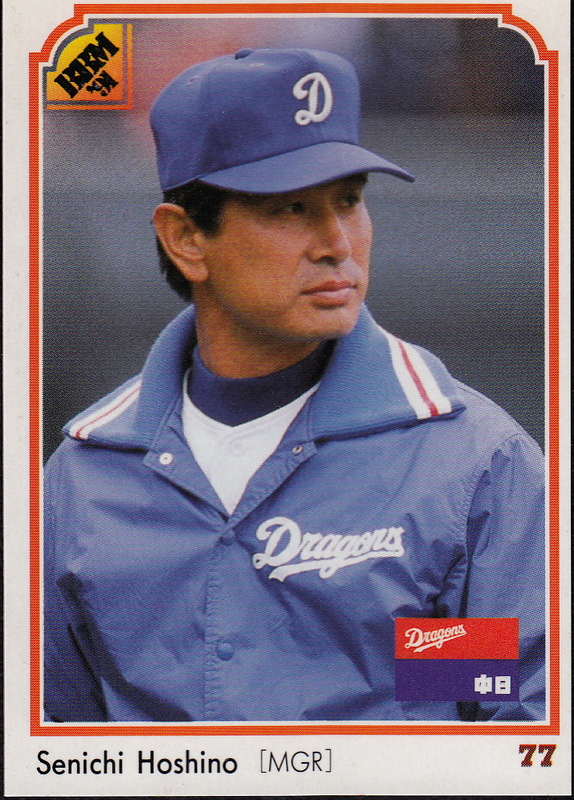 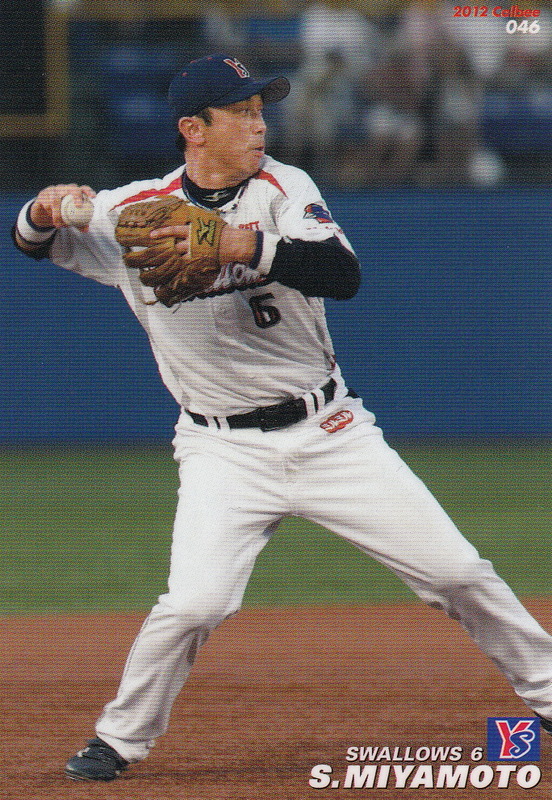 For the Dragons, all the cards show the player's in last year's uniform except the card of Takeshi Yamasaki, who was an Eagle last year. 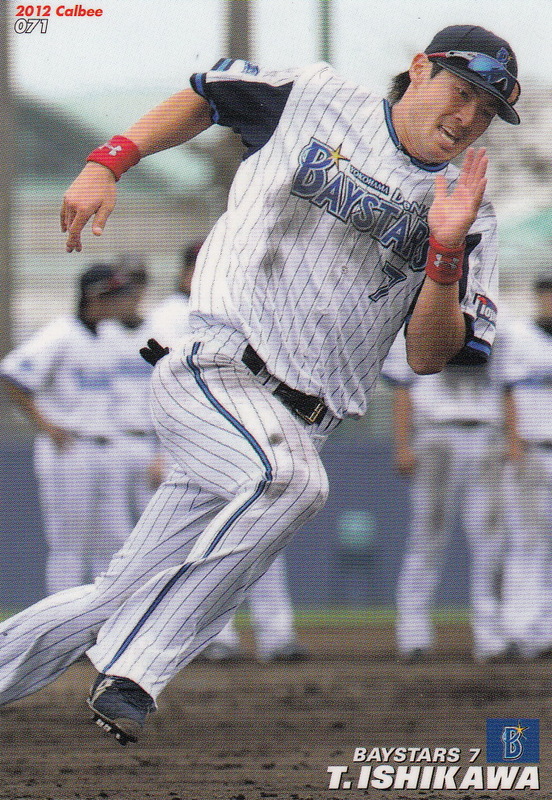 For the Baystars, however, everyone is shown in the new uniform. I suspect this is because the Baystars changed ownership and name as well as uniform. In case you're wondering, the only guys who have cards in BBM's Leader subset who are not in Calbee's Title Holder subset are Koji Akiyama (Shoriki Award) and Takahiro Shiomi (Rookie Special Award). 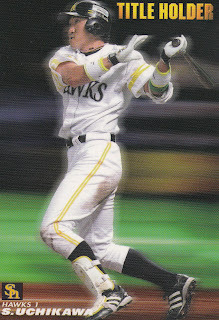 BBM's Leader subset card for DJ Houlton shows him as member of the Hawks (his 2011 team) while Calbee's Title Holder subset card has him as a Giant (his 2012 team). 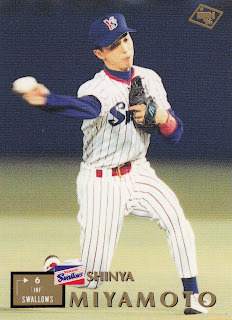 You can see all the cards here (along with the "Star" cards here). UPDATE - did a little research on YakyuBaka - the Fighters game from the checklist was last September 13 against Lotte. 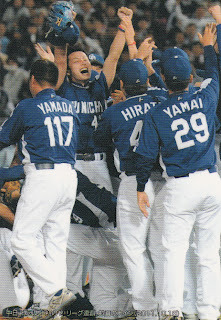 Inaba hit two home runs in the game, leading Nippon Ham to a 4-0 victory. 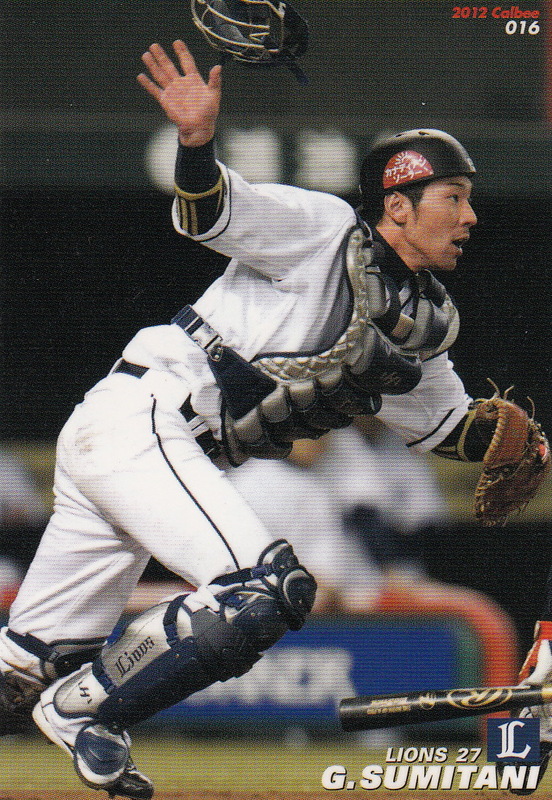 Calbee put information on their website today regarding this year's Series Two set. 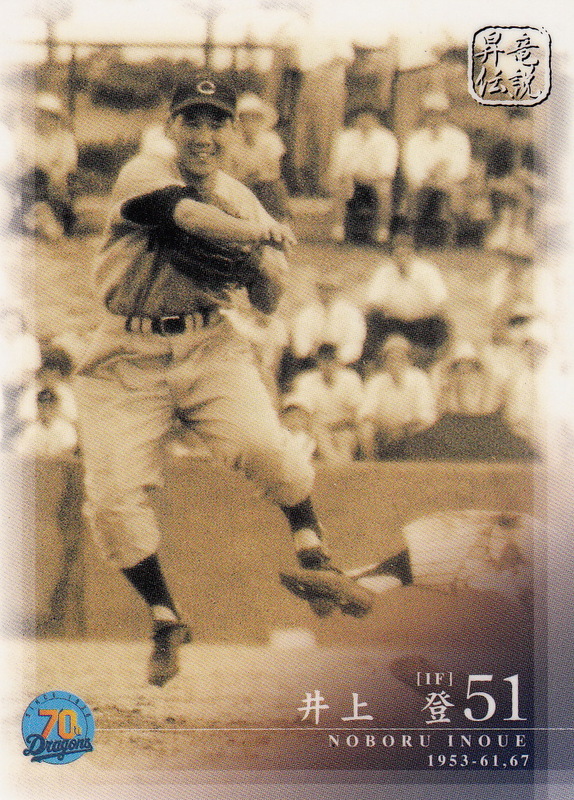 There will be 72 "regular" player cards (6 per team) that are numbered 74-145 (continuing the numbering from Series One). 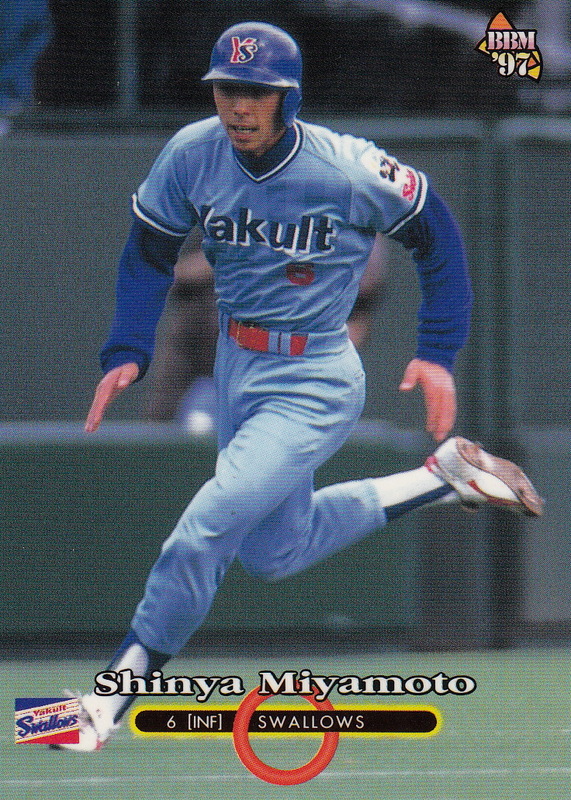 There will also be three subsets - Opening Pitchers (OP) featuring the Opening Day pitcher for each team; Memorial Cards (M) featuring reprints of classic Calbee cards as part of their celebration of their 40th Anniversary (numbered 14-25 in continuation of the Series One subset); and the Checklist cards (C) which are also a continuation of the Series One subset (numbered 5-8). 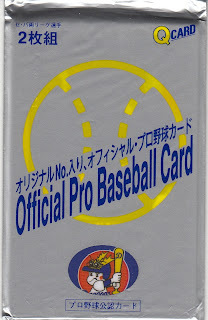 There's also an insert set of 24 Star cards (S), two players per team. (Once again, this is a continuation of the Series One insert set.) The cards will be out around June 11. 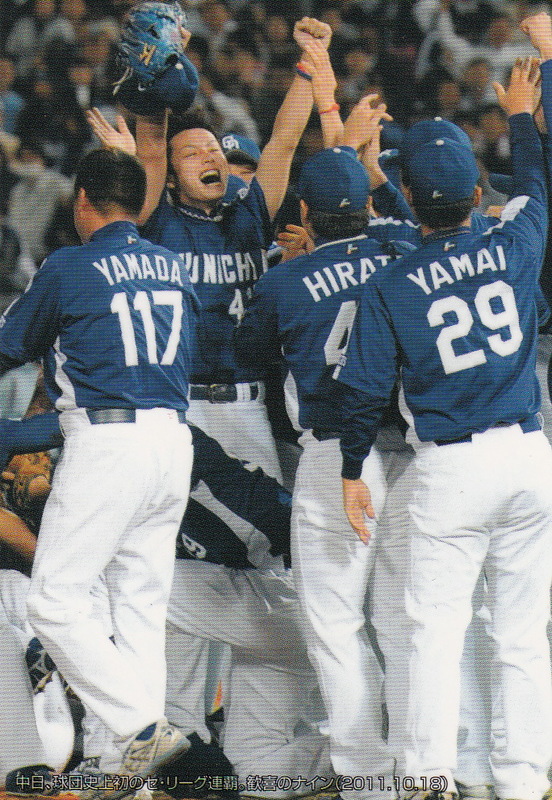 In other news, while there's no new sets listed on BBM's website, AmiAmi is showing listings for this year's team sets for the Tigers, Baystars and Lions, a box set for Hiroyuki Nakajima and the 2012 Dancing Heroine (Cheerleader) set. Running late on this, but last week Shinya Miyamoto of the Swallows got career hit number 2000. Miyamoto and Atsunori Inaba, the other player to reach 2000 hits this season (so far but Hiroki Kokobu of the Hawks is getting close as well), both started their careers with the Swallows in 1995 (Miyamoto was the Yakult's second round pick in the 1995 draft; Inaba was the third round pick). 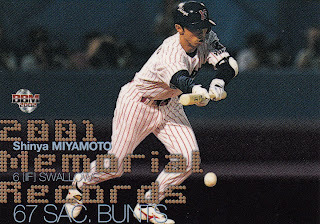 They are only the second pair of rookie teammates to go on to get 2000 hits in their careers - the first set being Yutaka Fukumoto and Hideji Kato, who both debuted with the 1969 Hankyu Braves. Not only are they the first set of rookie teammates to get their 2000th hit in the same season, but they actually got it in the same number of games - 1976. 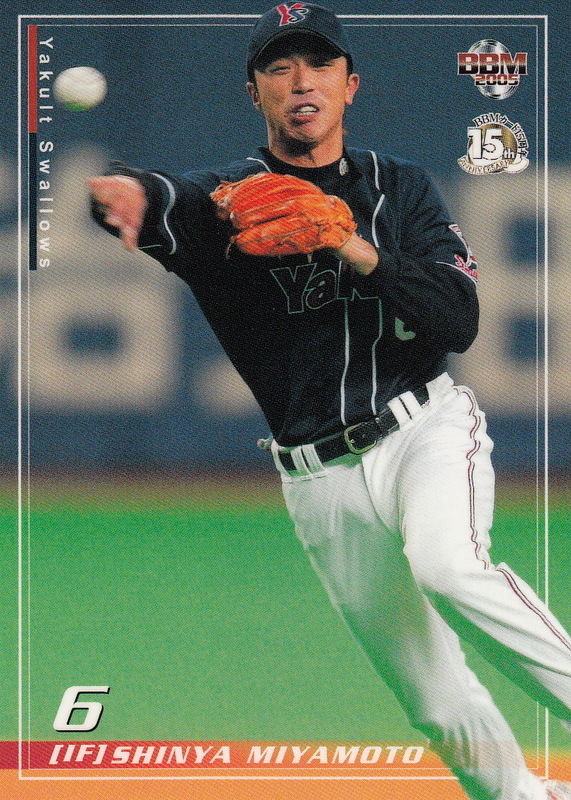 So who was the first round pick in the 1995 draft for the Swallows? 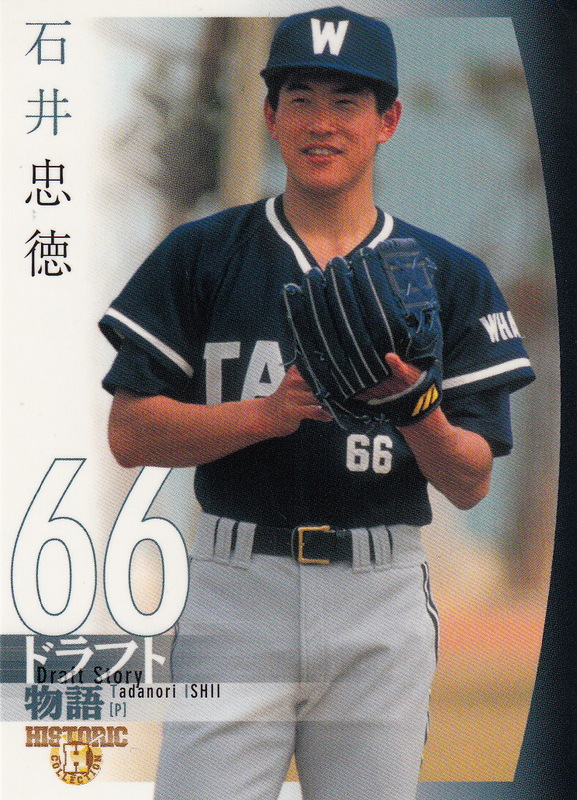 A pitcher named Tetsuya Kitagawa, who was drafted out of the industrial leagues (Nissan Motors), appeared in 36 games with Yakult between 1995 and 1998 and then returned to the industrial leagues.